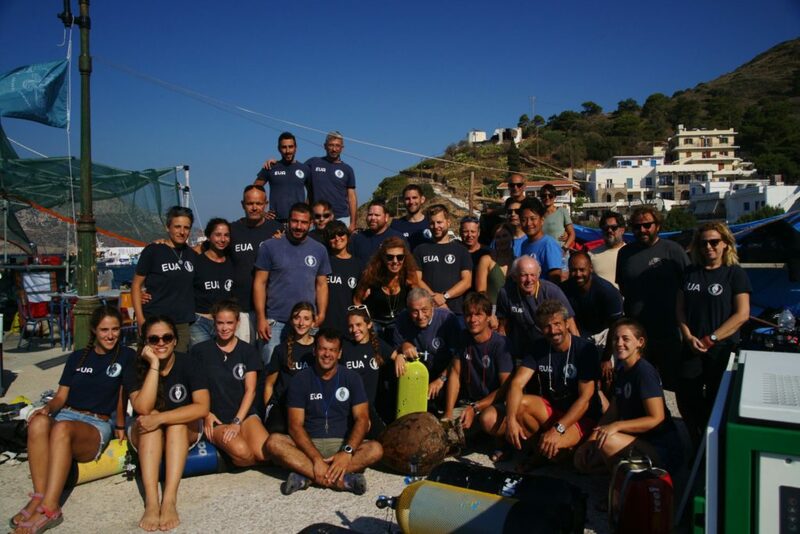 The fourth season of the Fournoi Underwater Survey has been completed, a collaboration between the Hellenic Ephorate of Underwater Antiquities and RPM Nautical Foundation. 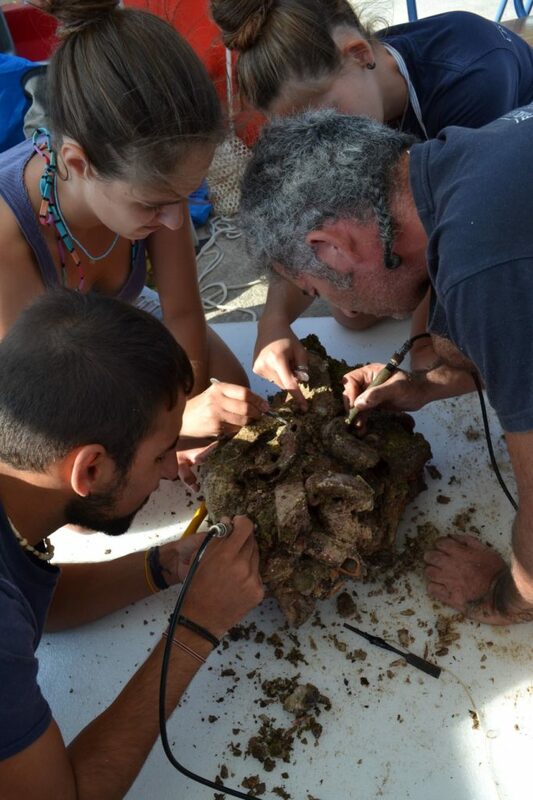 From 7-29 September, the project continued to survey, document, and study the ancient, medieval, and post-medieval shipwrecks of the Fournoi archipelago in the eastern Aegean Sea. Fourni Underwater Project team poses for a group photo. 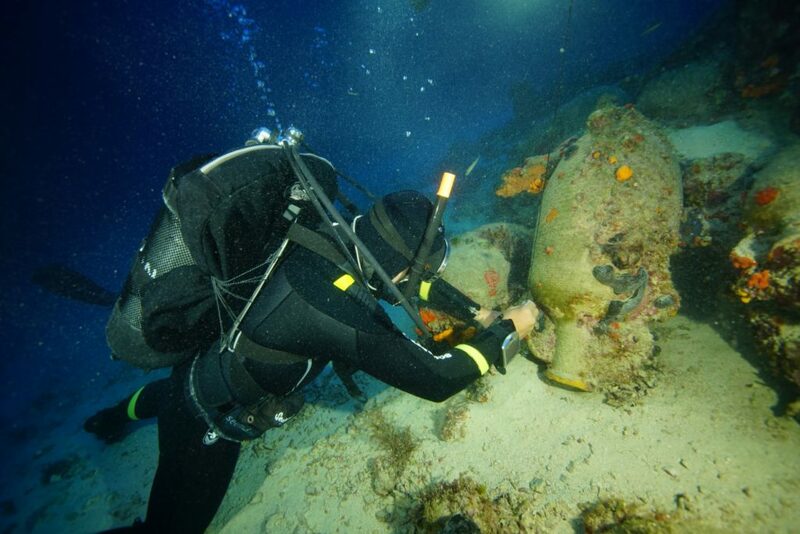 During the season five new wrecks were found, which date from the Hellenistic and Roman periods through modern times. The total number of known wrecks, including those from the campaigns 2015-2017, amounts to 58. In addition to the wreck sites, a large number of isolated finds, such as anchors, were documented. These finds are helping to reveal maritime trade and navigation networks in the Eastern Mediterranean. 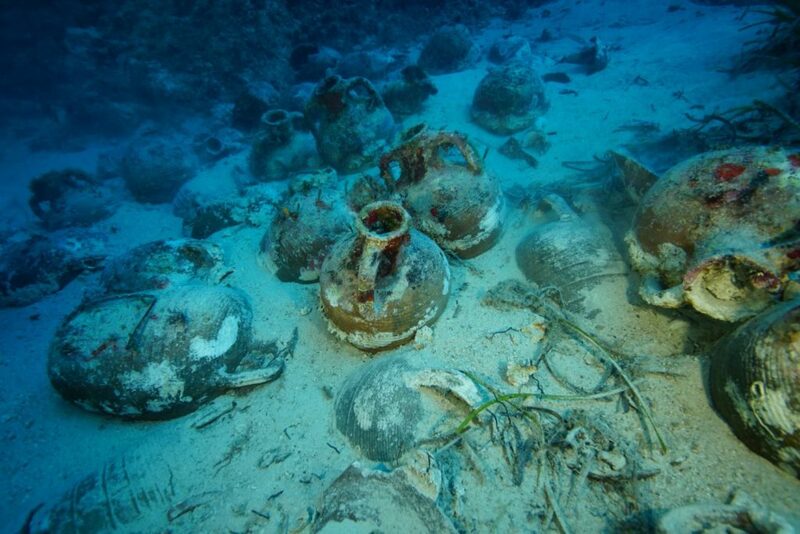 New discoveries during the 2018 season include a 2nd century BC shipwreck carrying a cargo of Knidian amphorae, a 4th century BC shipwreck with a mixed cargo of Aegean and Phoenician amphorae, and a 5th-6th century AD shipwreck with a cargo of Late Roman 1 amphorae. Another important find was the location of a large and extended anchorage off the coast of the modern village Kamari on the eastern side of Fournoi. More than 25 individual anchors were identified dating from the Roman period to the 18th century AD, some of which belong to ships of considerable size. Their location, in such large quantity, seems to indicate the presence of a prosperous settlement in Kamari that thrived during the Roman and Byzantine periods, for which we lack mention from the historians and writers of that period. Among the most impressive finds of the 2018 campaign was the location of an assemblage of 18 clay lamps dating to the 2nd century AD and decorated with images of ancient statuary, scenes of gladiators, and geometrical designs. All were products of well-known workshops in ancient Corinth. 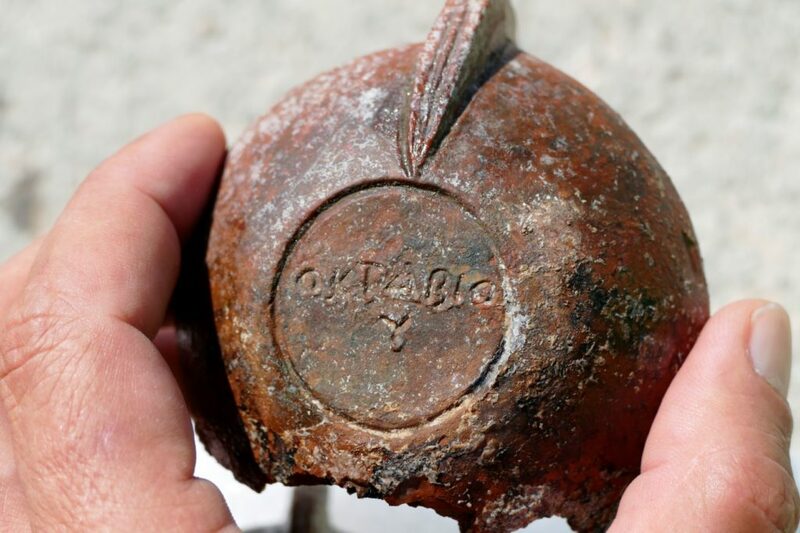 The bases of the lamps were inscribed with the names of Loucios and Octavios, probably freed ex-slaves who were named after their former owners and became active craftsmen establishing their own workshops in Corinth. The primary focus of the 2018 season was the documentation and raising of artifacts for further study. This work will allow for proper publication of the finds, as well as the protection of the underwater sites. Preparing an amphora to be lifted to the surface where it will then be conserved. Key to the success of the project was the assistance of the local population and the community of fishermen, who provided information on the location of the new sites. With the completion of the 2018 campaign, the first cycle of the archaeological research in Fournoi has been completed. Over the next few months, a new five-year program (2019-2023) will be submitted to the Hellenic Ministry of Culture. 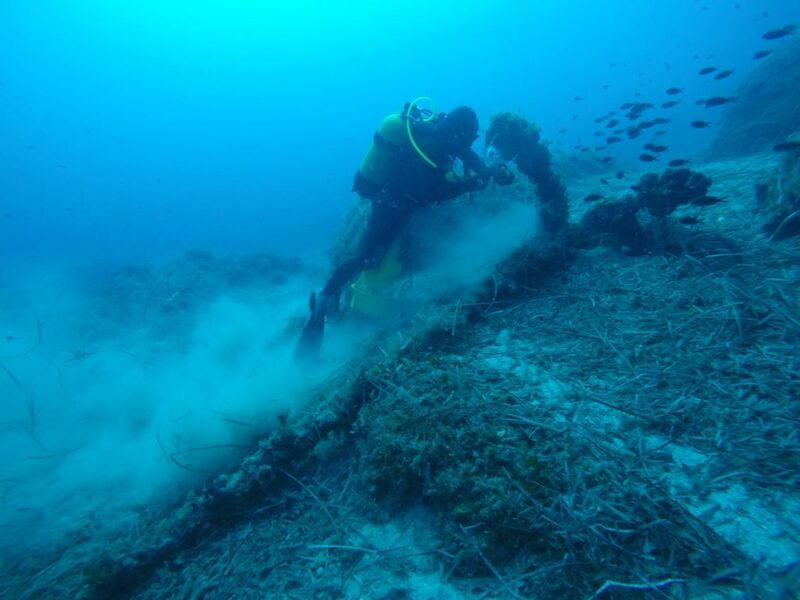 The research was conducted under the directorship of Dr George Koutsouflakis (Hellenic Ephorate of Underwater Antiquities) and Dr Peter Campbell (RPM Nautical Foundation). The 2018 campaign has been supported and financed by the Municipality of Fournoi, the “Korseai” Institute of Historical and Archaeological Research, Institute of Nautical Archaeology, and private donators from Greece and United States. 1. Please refer to the Hellenic Ministry of Culture press release for more information and photographs. 2. The Ephorate of Underwater Antiquities is a division of the Hellenic Ministry o f Culture responsible for Greece’s underwater cultural heritage. 3. RPM Nautical Foundation is a US 501(c)(3) nonprofit dedicated to scientific research and education in the Mediterranean Sea.